Since 2014, there have been well-funded professional futures exchanges in bitcoin that offer individuals the ability to speculate on the movements of BTC/USD using only bitcoin. They are non-deliverable futures which merely payout a profit based on the leverage you choose to use and the direction you pick -- long or short. The sites presented here use 100% bitcoin in the trade and settlement process, and have healthy liquid order books that can facilitate trades of all kinds of sizes. They are widely used by daytraders and hedgers alike. Whether you are speculating in order to profit from the volatility in bitcoin or you are protecting your coins or business exposure to bitcoin income. Need insured deposits and no socialised losses on your Forward contracts? Forwards are just another word for Futures, and CryptoFacilities offers worldclass contracts with insured blockchain settlement and a termination procedure instead of socialised losses to give you the confidence that you will be fully protected against a price decline in Bitcoin. With principals from Goldman Sachs, their team has the experience and skillset to deliver PROFESSIONAL solutions for your bitcoin derivatives needs. Bringing the best that legacy finance has to offer to bitcoin hedgers and traders. You can speculate upwards and downards on the price 24/7 with no risk of any loss from counterparty solvency issues (no "socialised losses"). Termination procedure means that in extreme volatility, unfilled liquidations transfer from margin-called counterparty to the contract's other counterparty, resulting in no system loss. Whether you are a small trader that want to dabble in speculation or hedge small amounts, or if you have institutional needs, the team at CryptoFacilities can meet your needs. In addition to their exchange platform they also will write Over-the-Counter (OTC) derivatives for your needs. CryptoFacilities is the only regulated bitcoin derivatives exchange out there with an orderbook that is offering you true hedging products with the time-tested legacy system. You can access up to 6x leverage in the Forwards contracts, which given bitcoin's volatility is a healthy amount to make meaningful exposure to bitcoin price. Margin Netting allows you to take long and short positions in different contracts without taking up unnecessary margin. Example: if you're long on contract expiring in one week, and then go short on contract expiring in 2 weeks, you won't need double margin. ​SPECIAL OFFER: Use this link to get $10 in BTC on your first trade! See CryptoFacilities screenshot step-by-step walkthrough here. BitMEX is ideal for speculators who want to use high leverage and short contract maturities to make money in short-term movements. Run by a small team of seasoned bankers and tech professionals, they have taken the bitcoin trading community by storm with their new 100x Bitcoin futures. They have recently pivoted from a hedging audience to a more higher leverage speculative daytrading target market. Their unique mark price system allows you to access high leverage without a high risk of socialised losses. 100% Bitcoin, No fiat involved in their system. See BitMEX screenshot step-by-step walkthrough here. 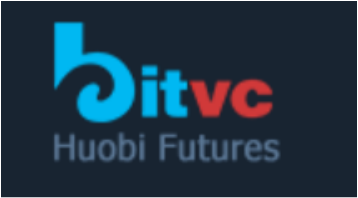 BitVC is Houbi's futures platform. They have a nice orderbook, with liquidity a bit behind OKCoin. They're based in China and essentially offer the same kind of risks as OKCoin. ​They're a great alternative if you don't mind trading with a Chinese exchange, but do not trust OKCoin. They have similar volume issues that make many in the bitcoin trading community not trust them. Sign up now here. Trade Bitcoin and Litecoin futures -- Weekly, Bitweekly, and Quarterly -- at OKCoin using up to 20x. The futures exchange is home to some of the most influential traders in China, and is a very important destination for serious high-volume bitcoin traders. It is the futures exchange with the highest volume and the one most commonly referenced by traders. They are believed to be faking volume by many traders, which makes many in the community not trust them. US customers not allowed, but no verification is required unless depositing or withdrawing fiat. Coinut is the only real bitcoin options exchange out there. The "binary options" services are not true financial products. The only caveat is that options are far less well-developed than futures. The liquidity is very bad, the orderbooks are very thin, and it's going to take time for these products to really take off, as more people understand the value of hedging tools. However, it has to start somewhere, so join Coinut now and trade bitcoin options contracts.